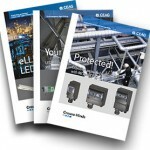 A selection of current product brochures, technical information and capability information are offered for download. The cover icon will be enlarged while mouse-over. Please click on the chosen PDF data for download the file.